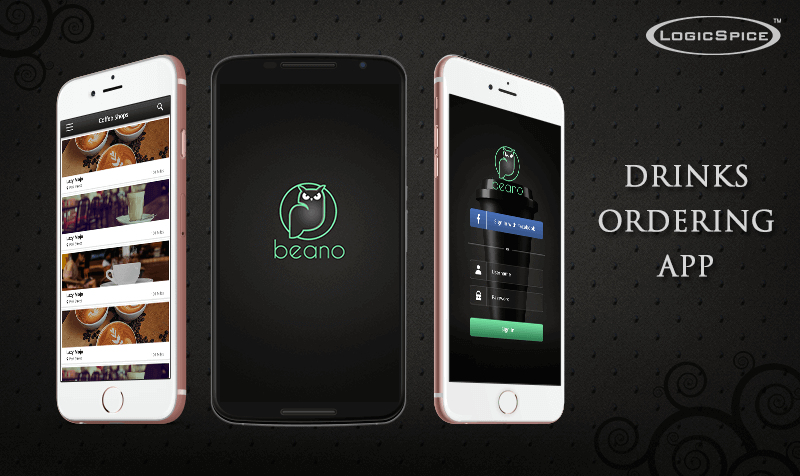 “Beano: Coffee ordering” is an interactive application for customers to find nearby coffee shops and place order over app. This multilingual app (Android & iPhone) facilitates customers to view their nearby coffee shops and can thus checkout for their favorite beverages if they have visited one of the shops. Visitors have to register & login over the app also using their Facebook credentials and then can select & purchase one of the available prepaid coffee plans using Stripe payment gateway and place orders, according to their selected plan over app. They can explore nearby available coffee shops which will be populated in the form of list and also can be located on the Map. They can select a shop, browse through the menu items and can add relevant item to the cart over app. After clicking over checkout, the waiters can enter their unique code in customer’s phone to verify the restaurant and can then avail their order. Restaurant Owners can manage their menus & listings through the web based panel and admin mode is available over website. Beano team chooses LogicSpice for its extensive experience in the world of web, iPhone and android application development, thereby provides a better user experience. The objective of proposed application is to provide ordering of coffee that will be offered by restaurants or shops and administrator that would be a User Centric, User Oriented and would be easy to navigate and use. The motto of proposed app solution is to provide customers a way to find nearby restaurants/coffee shops and can place order over app. They need to visit the respective restaurant/coffee shop and verify the unique code for availing their orders. Seran (our client) said that "LogicSpice has given their best with the app beyond my imagination. At the end of the project, we had a great user friendly app."